In the modern world of data and information, computer systems need circuits that are able to process and transfer that information. Because of this, a great deal of resources and innovation go into creating more advanced circuitry in order to increase data transfer rates and make computer systems smaller. 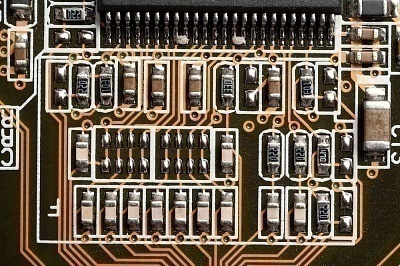 This article will demonstrate how integrated circuits by explaining what they are and listing a number of programs that allow users to design their own integrated circuits. IC design, or integrated circuit design, is a specialized field of computer science and engineering that involves the design and production of integrated circuits. IC design usually requires that pathways be created so that information can flow properly and that small electrical components are organized in a way that maximizes space so that computer systems can be as small as possible. IC design is generally carried out on a computer software and then implemented so that real circuits can be built upon those designs. Magic is an open source IC design software that was in the 1980s by John Ousterhout at Berkeley University. Though Magic is an old software, it is still very popular among universities and companies that work in the IC design field. Magic allows users to design pathways and place virtual electrical components within their design so that a realistic integrated circuit can be seen. Users can also set the dimensions of the integrated circuit and control the layout through programming code. Magic is available for free download at http://opencircuitdesign.com/magic/ . Electric is a set of software tools and features that focus on silicon compilation. Electric is another old software but is newer than Magic is. Electric is only available in binary and source code but allows users to design integrated circuits through comprehensive design options. Users should avoid Version 6 of the software as it is prone to many crashes and data loss. The newer versions are written in Java and the software includes extensive documents that explain how to use the software and provide tips for creating integrated circuits. Electric can be found at http://www.staticfreesoft.com/productsSoftware.html . Iced, or IC Editors, Inc., is another group of IC design programs that is made for the Windows Operating System. Iced used to cost over $2700 but is now available for free with a restricted license. Iced comes with many tutorials and manuals for using the software and designing integrated circuits. There are currently plans to make Iced an open source software which may bring the program to Linux and other operating systems. Iced can be downloaded from http://www.iceditors.com/ . Graal is a set of tools that is included in the Alliance IC Design software package. As Alliance IC Design is an open source software, Graal is available for free. Graal is a Lamba-based editor that allows users to design layouts for integrated circuits. Graal allows conversions to CIF and GDS and comes with its own cell library. Alliance itself provides the binary, source code, and all cell libraries needed to not only design integrated circuits but also to redesign the software itself. Graal and Alliance IC Design can be found at http://www-asim.lip6.fr/recherche/alliance/ . MicroWind3 is another Lamba-based layout editor that is completely compatible with Spice. Although the software is no longer free as a whole, there is a Lite version that uses can download and use free of charge. MicroWind3 allows users to view integrated circuit designs in 2D, 3D, and in a layout simulator. The software comes with all the necessary tutorials and manuals for using the software and designing integrated circuits. The software can be downloaded from the MicroWind3 website, http://intranet-gei.insa-toulouse.fr/~sicard/microwind/ . 465 queries in 0.746 seconds.